Welcome to the centre of active and healthy lifestyles on campus. At Monash Sport, we believe that sport and recreation is a vital part of your student experience at Monash University, and we endeavour to provide a diverse array of services and programs to enrich campus life - we can teach you to swim, provide expert health and fitness programs and advice, get you involved in a team in our social sport competitions and build your capability in our running groups, group fitness classes or swim fit programs. Above all else, we strive to enhance your health and wellness and to provide you with high quality facilities, programs and caring staff to optimise your time with us. We believe that active bodies help create vibrant minds, and facilitate a well-balanced academic and campus experience for our students. In 2017 we made many facility enhancements to our facilities, launched exciting new events and improved our programs and service provision. This guide features many options to assist you to ‘be active’ on campus and enhance your experience at Monash University. There are lots of structured and informal opportunities available and I invite you to come and experience these opportunities - use our facilities, learn to swim, play lunch time tennis, participate in social sport, work out in our gym, participate in a group fitness class or come and shoot hoops or kick a ball in our free-play times….or just come and have a walk or run in our facilities or groups. 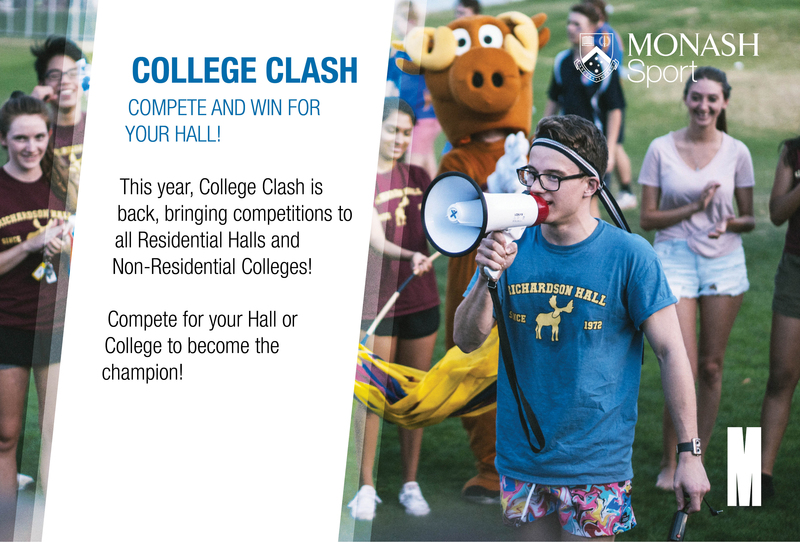 Additionally, please join our Facebook pages and check out our website at monash.edu/sport for more information about all that is happening. Data collected over the past four years demonstrates that students who joined a Monash Sport membership had a higher course completion rate, compared with the overall student cohort. Our annual student surveys and focus groups also clearly indicated that our students consistently value their time at Monash Sport as a positive influence on their mental health, wellbeing, sense of belonging and academic performance while studying at Monash University. We pride ourselves on ensuring you have lots of fun whilst on campus and we run and host in a number of annual events on campus, including being involved in the Summer Series and Winter Fest events. We regularly evaluate our services, programs and facilities and welcome your feedback and suggestions. Enjoy your time at Monash and I hope we see you in action soon. Download the Sport at Monash Guide (pdf). A hard copy can also be found at all Monash Sport service desks.